The speed rating of a tyre is displayed on the sidewall of your tyre within the tyre code. It is represented by a letter of the alphabet. 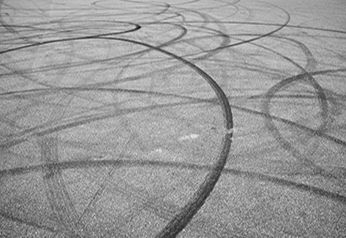 Once you know your tyre speed rating, you can work out what is the maximum speed your tyre is capable of maintaining on the road. Speed ratings are based on engineer tests run to find out what speed can be safely maintained at length. Where do find the Speed Rating within the Tyre Code? 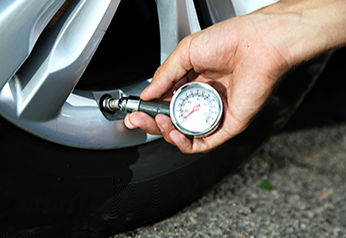 The Speed Rating features in the sequence of measurements of the tyre code. 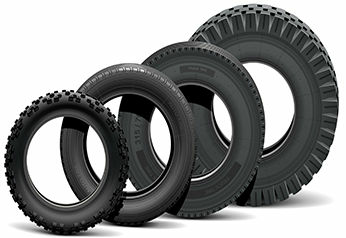 It is near the end of the tyre code and usually comes after the Load Index, (which follows the Tyre Size). Below is an exception to this rule where the speed rating comes before the Tyre Size. This is unusual, but with some top range and vintage cars, the wheel construction and speed rating come after the Aspect Ratio rather than the Load Index. Speed Ratings are most frequently found after the Load Index which follows both the Tyre Size and Aspect Ratio. In this case however, after the two digits of the Aspect Ratio are the two letters R and Z combined. These letters are used to represent the internal construction of the tyre and its speed rating. 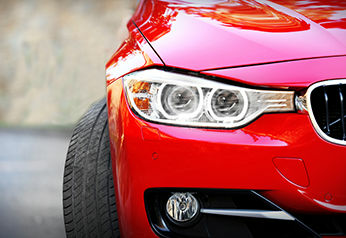 Most Passenger tyres are radial tyres and are represented by an R.
As for the Z, speed ratings mainly feature letters that come towards the end of the alphabet. 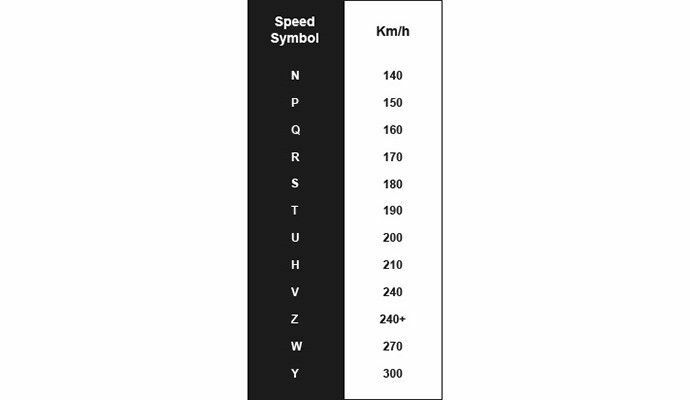 The standard of these ratings is that the closer to the end of the alphabet the letter is, the higher the speed rating of the tyre. This is not an airtight rule however. So Z at the time it was chosen, denoted what was thought to be the fastest speed rating possible for a tyre. Considering this, the rating RZ is like an outdated, sports car tyre speed rating, which has just hung around despite faster ratings having been created since.